Beautifully upgraded and maintained 3 Bed, 1.5 Bath end unit in the sought after Washington Highlands cul-de-sac neighborhood. 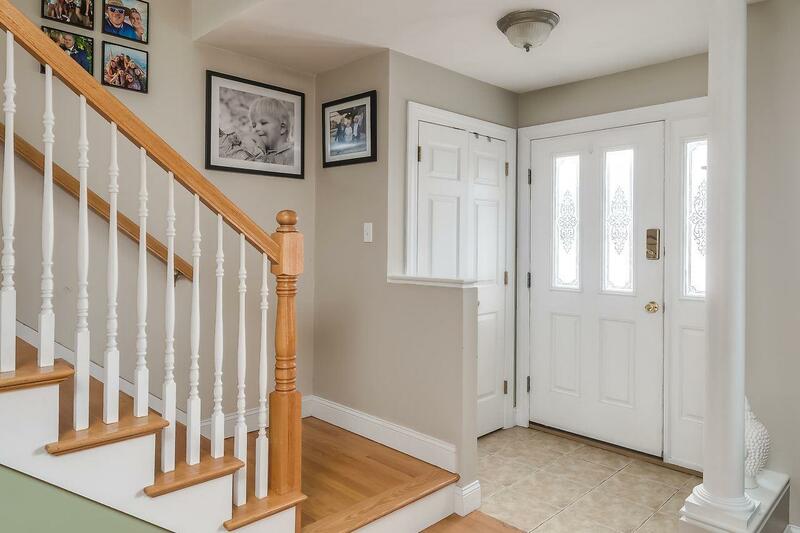 The main level has hardwood flooring throughout. The kitchen is tastefully upgraded with white cabinetry, granite countertops and brushed chrome stainless steel appliances and fixtures. It also has a huge pantry for storage and a built in microwave providing more counter space. It overlooks the expansive backyard from the large window over the sink. The dining area, open to the kitchen, has a wonderful combined corner floor to ceiling window and sliding glass doors to the deck overlooking the open spaces. This is truly one of the best units in Washington Heights with privacy and views beyond compare! Upstairs you will find 3 rooms - 2 being used as bedrooms, and one as an office which could easily serve as a bedroom as well. The large windows provide natural light. The master bedroom has a large walk-in closet, and the full bath has a double vanity and tiled floors. The basement is a finished rec room with a large window, and direct access to the backyard. The finishes are warm and cozy, and there is also a half bath. Great place to host friends! 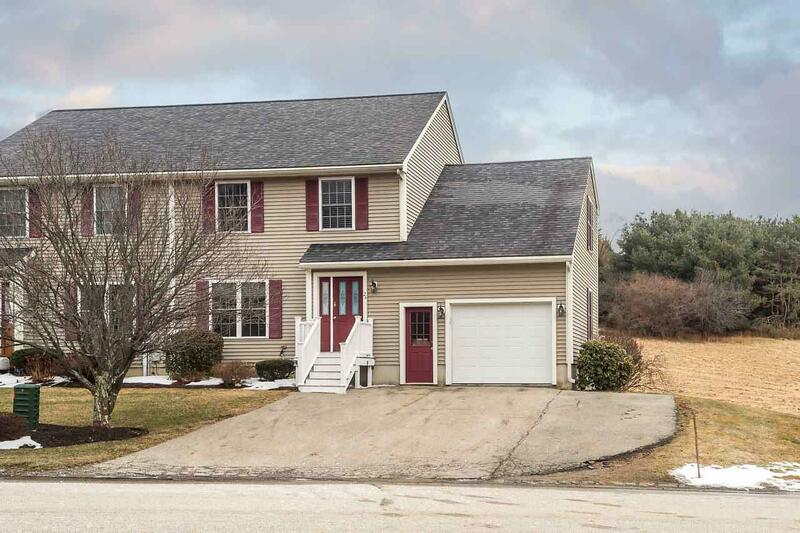 To complete the package, the HOA fees are a low $140/month for all road maintenace, plowing and landscaping and the location is supreme - less than a mile to the thriving downtown Dover area, and with easy access to Rt 16. 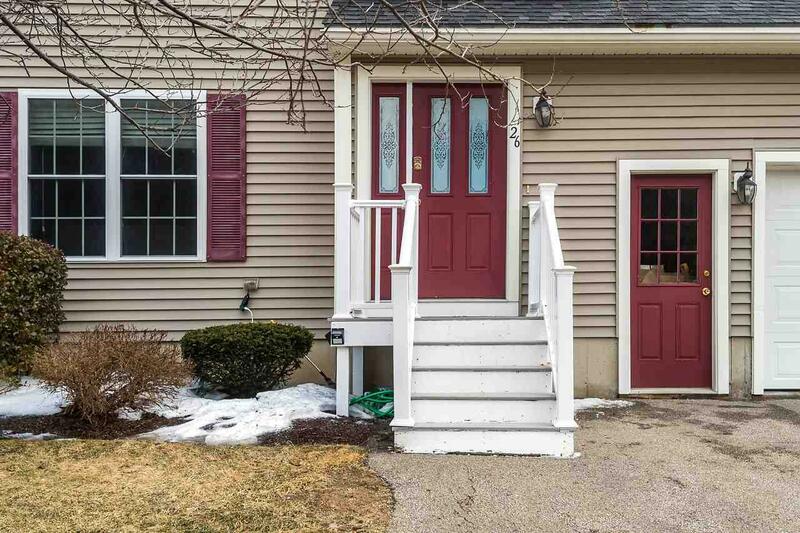 Sold by Great Island Realty Llc. Courtesy of Evan Douglass of Keller Williams Coastal Realty.